We conduct interdisciplinary research into continuous monitoring, on-site assessment and safe operation of civil engineering structures and systems in order to ascertain the real behaviour and devise optimal maintenance strategies to increase useful life and reduce life-cycle cost. 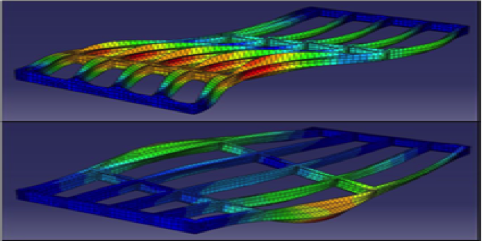 Our work also involves the development and application of advanced numerical simulation and data analysis tools. We research into improving the application of Non-Destructive Testing and shallow depth Geophysical techniques used for condition assessment and inspection of key infrastructure elements such are buildings, roads, railways. We apply such methods from complex engineering site investigation problems to prospecting of archaeological sites and monuments. 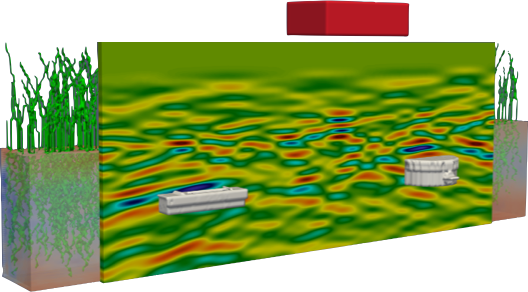 One of our key research strengths is the development of advanced simulation tools and data interpretation schemes particularly for Ground Penetrating Radar where we are leading the development of gprMax the most widely used Ground Penetrating Radar simulator. Our PhD students have won over 10 awards from the ICE, plus various best paper and poster awards. We have graduated 8 PhDs in railway engineering. In addition we sponsor the International conference series: "Railway Engineering" - the 14th conference in the series, Railway Engineering 2017, in June at the Radisson Blue Edinburgh, UK. Working with our research sponsors (Network Rail, Carillion Rail and EPSRC) we have achieved new understandings in the NDT of masonry arch bridges, geophysical identification of abandoned mineshafts, condition monitoring of railway ballast and slabtrack, plus new understanding of ground borne vibrations from high speed trains. Modal analysis based on vibration measurement. Simulated Ground Penetrating Radar response from antipersonnel landmines.